Now is an exciting time to be shopping for a smartphone. 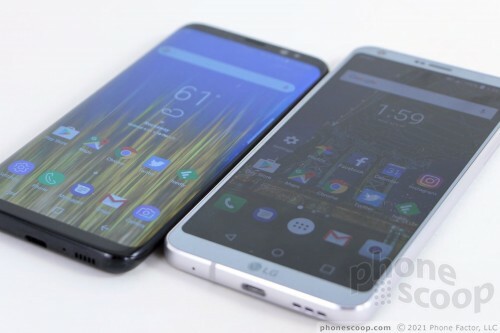 New, powerful flagships from LG and Samsung are taking handsets in a new direction with dramatically altered displays, high-end designs and materials, and blistering performance. On the fence about which might be best for you? Here are how several core features to compare between the LG G6 and Samsung Galaxy S8. LG and Samsung dropped the old standard 16:9 aspect ratio in favor of narrower, taller displays this year. 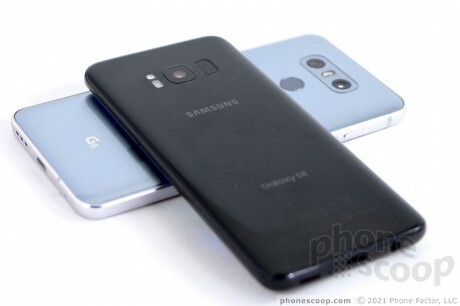 Where the G6 measures 5.7 inches across the diagonal and has 2,880 by 1,440 pixels, the S8 measures 5.8 inches across the diagonal with 2,960 by 1,440 pixels. LG's choice is a clean 2:1 (or 18:9, if you prefer) aspect ratio. In comparison, those extra 80 pixels on the S8 give it an oddball 18.5:9 aspect ratio. Both offer resolution greater than Quad-HD, which is the gold standard. The screens are bright, sharp, and impressive as hell. This new set of aspect ratios and resolutions is meant to reflect where the industry is headed, splitting the difference between the aspect ratio used by television (16:9) and film content (2.35:1), while also ensuring the devices can be used as virtual reality engines. It also helps keep the devices a bit narrow, which improves in-hand usability. The taller screens boost multitasking, too, making it easier to run two apps on the screen at a time. LG stuck with its tried-and-true LCD panel technology, while Samsung kept to its favored Super AMOLED. LG's decision means the G6 is not compatible with Google's DayDream virtual reality headsets. That's a real shame. G6 owners will be limited to Google Cardboard. On the flip side, Samsung's AMOLED display means it will work with DayDream. Moreover, Samsung released a second-generation Gear VR headset with a controller. I truly appreciate Samsung's efforts to foster interest in virtual reality. The wider compatibility with VR headsets plus Samsung's Oculus-developed VR and 360-degree content gives it a huge advantage over the G6. After using the phones side-by-side for a week, I have to say the G6's screen is more accurate with better viewing angles, while the S8's screen is a bit brighter and more colorful especially when outdoors. They are so close, but Samsung's VR efforts win the day here. Edge: Galaxy S8. 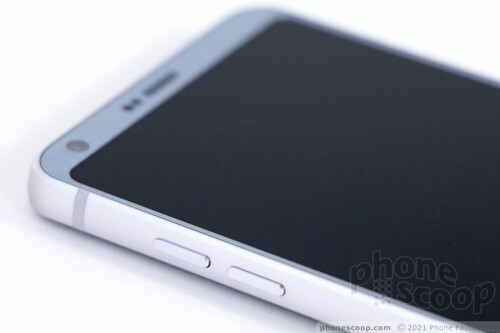 LG positioned twin 13-megapixel cameras on the rear of the G6. One has a standard field of view and the other has a wide-angle field of view. The main lens has an aperture of f/1.8 for low-light performance and optical image stabilization to help improve focus, while the wide-angle lens has an aperture of f/2.4. LG gave the G6 a 5-megapixel user-facing camera with a fairly wide-angle f/2.2 lens. The G6 takes excellent pictures, and I love having the option to jump to wide-angle shots. The wide lens really helps capture more in the frame when in close quarters. 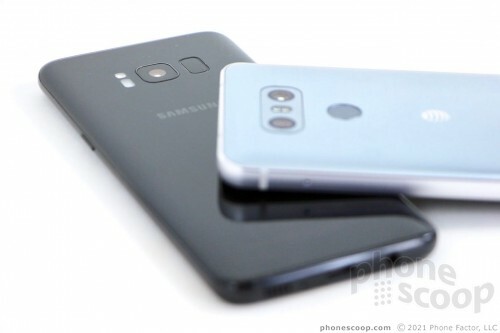 Samsung carried over the 12-megapixel sensor from last year's S7. It has a standard field of view, an aperture of f/1.7, and optical image stabilization. The selfie shooter has an 8-megapixel sensor also with an aperture of f/1.7 for the best-possible low-light selfies. Both Samsung sensors deliver high-quality results that set the bar for the industry. I like Samsung powerful camera app, which has lots of social media-friendly tools and extras. I'm disappointed the S8 does not have the wide-angle option of the G6. The S8's camera does outperform the G6 in low-light situations, but the added wide-angle element of the G6 is worth the trade-off. Edge: Tie. 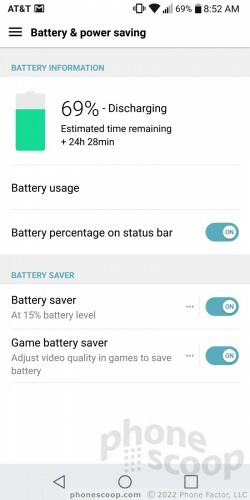 Battery life relies on far more than the capacity of the battery itself. The number one power-draining aspect of any mobile device is the screen. The brighter it is, the more power it saps from the battery. Processing power can chew through battery life, as can gaming, media consumption, GPS use, and more. This requires phone makers to maintain a balancing act in order to deliver an experience that's good enough for most people. At the same time, today's phones include the software controls needed to allow individual owners make the power choices that are right for them. There's no better test than real-world usage over a period of a week or so. The LG G6 has a 3,300 mAh battery and the Samsung Galaxy S8 has a 3,000 mAh battery. It's not even close. The G6 crushed the S8 in side-by-side tests. 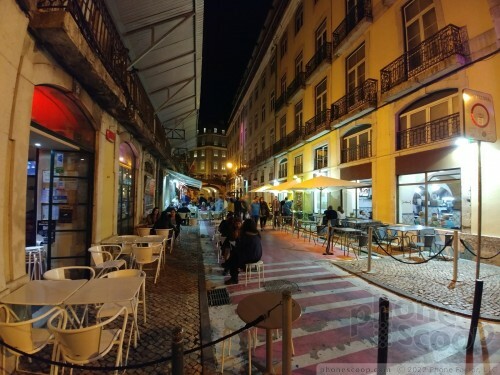 I took both phones to Lisbon during a recent business trip and the G6 outpaced the S8 from day one. What's crazy is that the G6 bested the Galaxy S8+, too, which has an even larger 3,500 mAh battery. LG's ability to deliver all-day power shows that size/capacity isn't everything. Edge: G6. Along with the screen ratios, LG and Samsung both took new paths with their hardware this year. 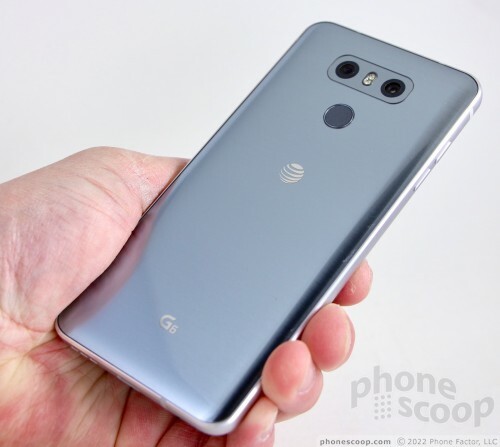 LG changed the trajectory it set with last year's all-metal G5, switching for the first time to a metal-and-glass design. The G6 is a fine phone made from high-end components that are assembled well. The S8 from Samsung refines the company's vision of merging technology with art. 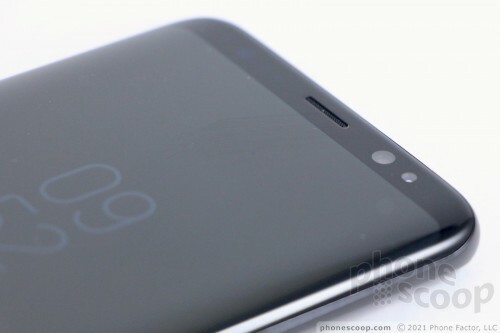 The S8 is made mostly of glass with a thin aluminum frame providing the backbone. It's a work of art and an unsurpassed technical achievement. LG's phone looks a bit more mainstream; we've seen metal-and-glass phones for years now. 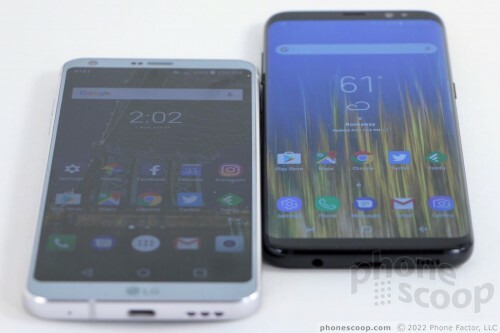 It's nice to see LG jump aboard the bandwagon, and yet I can't help but feel LG could have done just a little more to refine the G6. 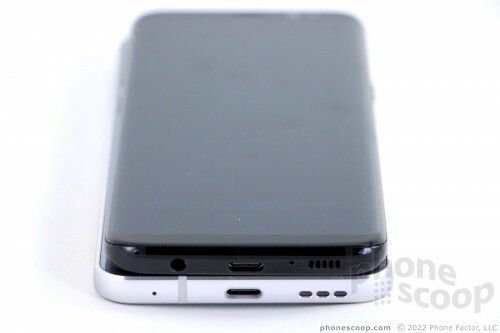 On the other hand, Samsung's phone is completely smooth thanks to the flawless integration of curved glass and metal. As much as I enjoy using the G6, the S8's seamless, curved design has won me over completely. Edge: Galaxy S8. Design may be in the eye of the beholder, but durability is fairly concrete. Dropping glass phones onto hard surfaces can be unforgiving and expensive. LG chose a thick aluminum frame to form the chassis for the G6. 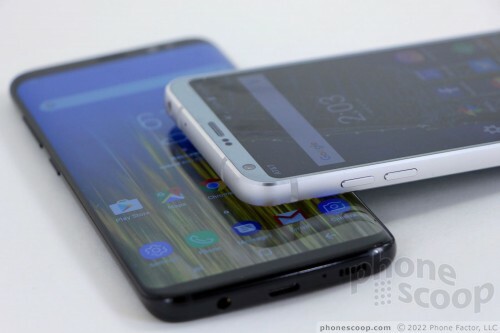 Moreover, the curved nature of the display itself means that, when dropped, the phone can handle more punishment in the four corners. 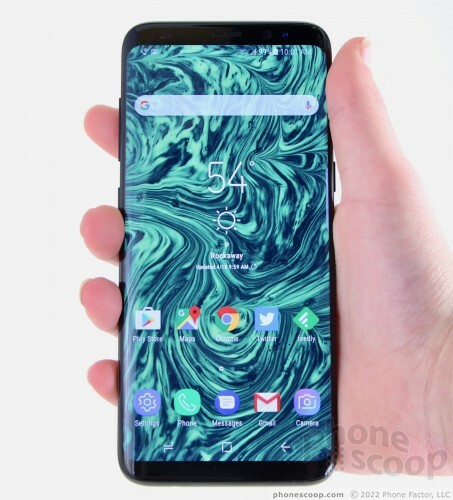 In fact, LG says this design is so effective in dissipating energy that it was able to use Gorilla Glass 3 on the front of the G6 rather than more expensive Gorilla Glass 4 or 5. The S8 is nearly all glass. 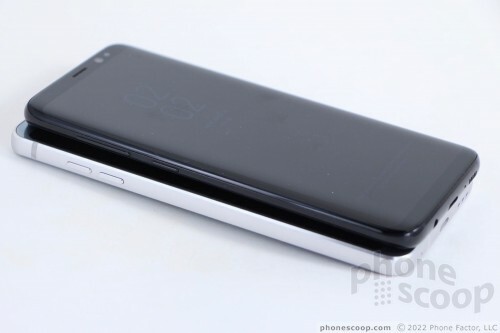 The front and rear surfaces partially curve around the side edges to meet the thin aluminum frame. 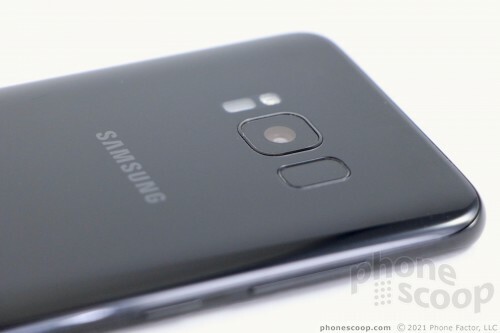 This means glass is far more likely to be what impacts the ground if/when the S8 is dropped. The S8 has curved corners in the display, too, but covering them with the curved glass leaves the phone more prone to damage — despite the Gorilla Glass 5. Edge: G6. 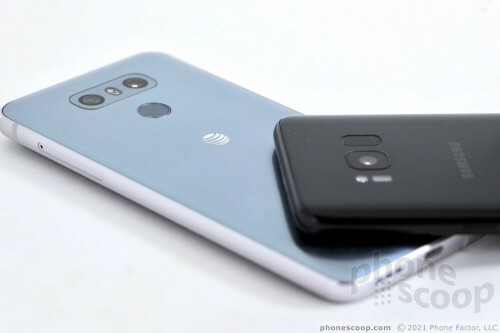 On a spec-for-spec basis, the G6 and S8 are well matched. For example, both are rated IP68 for protection against dust and water, both rely on USB-C, and both include 3.5mm headset jacks. Other shared features include new, fast iterations of LTE, rapid charging, wireless charging, and HD voice. 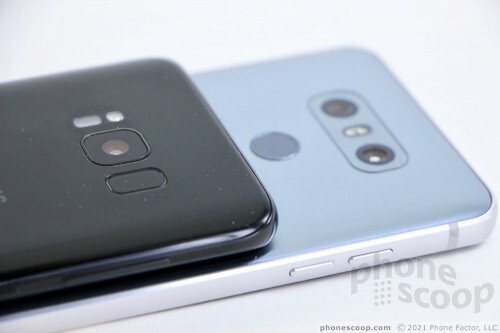 There are a few areas where the G6 and S8 differ, however, and these may be deal breakers for some. For example, the G6 has 32 GB of storage standard while the S8 jumps to 64 GB standard. Both include 4 GB of RAM and support memory cards. The G6 has an FM radio where the S8 does not. Small points, for most. The security story is different. The G6 has what many would call a "normal" fingerprint reader placed on the back of the phone. 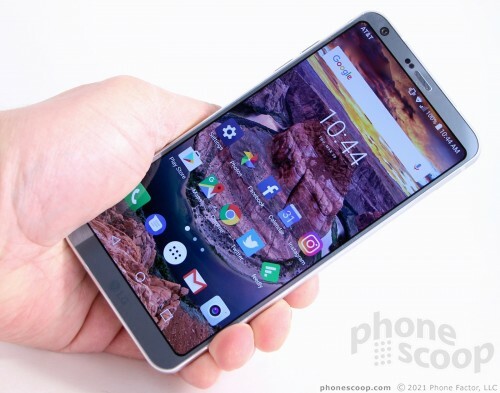 It's smack in the middle, and easy to find and use when holding the G6 in your hand. Samsung pushed the fingerprint reader high up the back surface right next to the camera. Moreover, it slid the reader over to the right, which makes it harder for left-handed people to find. Samsung claims the included iris scanner and facial recognition tools on the front make up for the odd fingerprint placement, but they are awkward to use at best. Multiply awkward by 150 instances of unlocking your phone each day and awkward may become unusable. These handsets offer an almost identical feature set and are dead even in most respects. In terms of everyday usage (unlocking your phone quickly and getting to what matters), the LG G6 delivers better, more consistent performance. Edge: G6. I'd be remiss if I didn't bring up cost. The G6 is available for between $675 and $720, depending from which carrier you purchase it. The Galaxy S8 is $750. Monthly financing payments are going to cost you between $28 and $32, based on the terms you select. That's not a big difference over time. Whether you elect the LG G6 or opt for the Galaxy S8, you're going to be pleased. Keep in mind that the "bars" measurement is completely arbitrary. There is no standard for what "three bars" means, etc. Some manufacturers (and/or carriers) will even inflate them to make the phone and/or network appear better than it really is. Im using it, I have ran into 0 errors or issues. It lets them put more screen in a smaller phone. Most people will say that's a good thing. I think it's great. 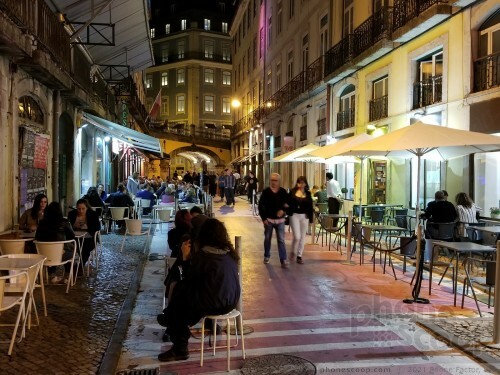 It makes a bigger difference in person than you might assume from just photos.